Group trips - Drużno Lake - Season 2014 - WELCOME! Dates of expeditions in the season 2014: 23-26.10.2014 (4 dni) + 13-16.11.2014 (4 dni) + 04-07.12.2014 (4 dni). If you subscribe for three months before the planned trip – you will get a discount 15 Euro! Booking: e-mail: mateusz@guidedfishing.pl or tel. +48 503172508. Fishery description and kind of fishes that appear there?? Over the four days we sailed the vast bays of Lake Drużno. This is a very attractive lake. There is a large population of nice pike. Lake is a shallow fishing grounds and is ideal for fishing for pike on jerkbaits, big lures, and other shallow-running lures. On the first day we meet up early in the morning. Quartered in, unpack our luggage and go together to the fishery. In the 4th day of fishing at the end of the day, checking out of the hotel and go back to our homes. 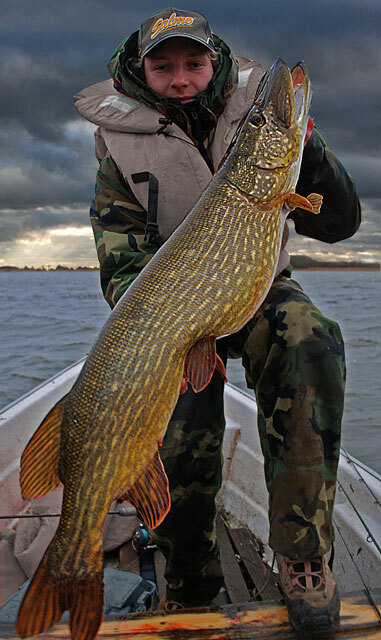 The aim will be of course pike fishing. 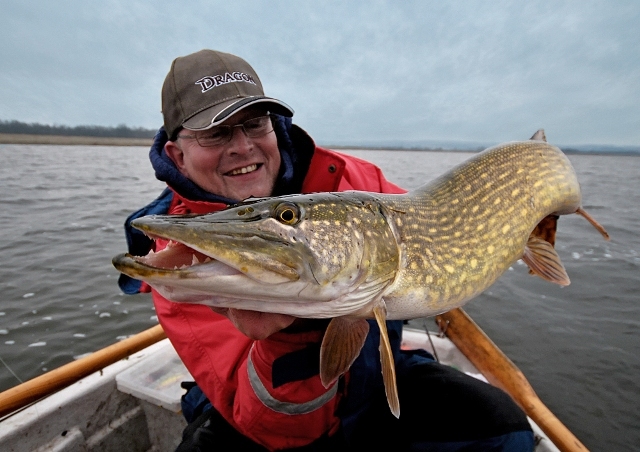 We will be fished in areas where there is a very good chance to catch big pike. During the trip we will discuss lake spots, and we will advise you how to fish in those spots. We live in a beautiful guest house. Rooms 2, 3 and 4 persons. All rooms equipped with toilet facilities, bathroom with toilet, TV. After each night, the hotel provide breakfast in the hotel. Lunch and dinner on your own. You can take your food or order meals on-site at the guest house. Holder of the lake is PZW Elblag and we can only swim on their boats. Fishery provides swimming on the waters only for electric motors. Engines ( max 5 HP) are permitted to operate only in water track. The guides will be exchanged every day, so that each of the members of the expedition had the opportunity to swim with a guide. 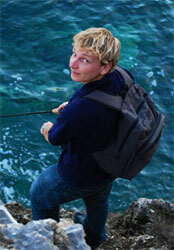 Guides during the trip will be Arkadiusz Mackiewicz (also known as Zanderix) and Matthew Kalkowski. Anglers who know the lake Drużno very well. Access to the accommodation and the beach area on their own. We meet in the quarters. Details of the meeting after signing up on the list of volunteers for the expedition, and upon payment of the advance. Before expedition, we ensure extensive information about equipment for all participants. We pass the information after paying advance. We also offer 7 % discount for fishing equipment in ” Fishclub” store, Łukowska 30 st, Warsaw, and “Dom Wędkarza” store, Okrężna 38 st, Warsaw. Food and drink for 4 days (breakfast included in the price of the trip). Appropriate clothing - warm and waterproof. Applications accepted by mail or telephone - e-mail: mateusz@guidedfishing.pl and tel. +48 503172508. WELCOME to the trip! We will share with you our passion! Short movie about our fishery: LAKE DRUŻNO. These pike are waiting for you! My name is Mateusz Kalkowski. Fishing is the passion of my life. I try to spend every spare moment with a rod or a camera in my hands. It all started with trips with my brother and father (thank you, Dad!) to Mazury Region (Masuria). It is there where my fishing adventure began. I knew at once that spinning was not for me. I did not like and I still don’t the ‘stationary’ fishing. I like travelling and I love to visit new places whenever possible. Arek Mackiewicz. He has been a fisherman nearly all his life. 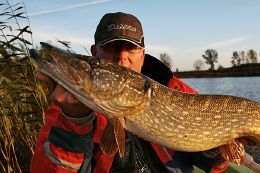 The Zulawy Region and the surrounding channels are a real angling range – both for float anglers and ground anglers but first of all for spinning anglers. With numerous fisheries, they provide perfect conditions not disturbed by too many anglers. Arek has been the tester and member of TEAM DRAGON for several years now, he has many angling friends in Poland and abroad. He is a co-founder of the Elblag Spinning Club Elspin-Milex whose members are very successful in Poland. Their frequent meetings and sharing experience help them continuously increase their angling skills. In other words – he is our Zulawy specialist.